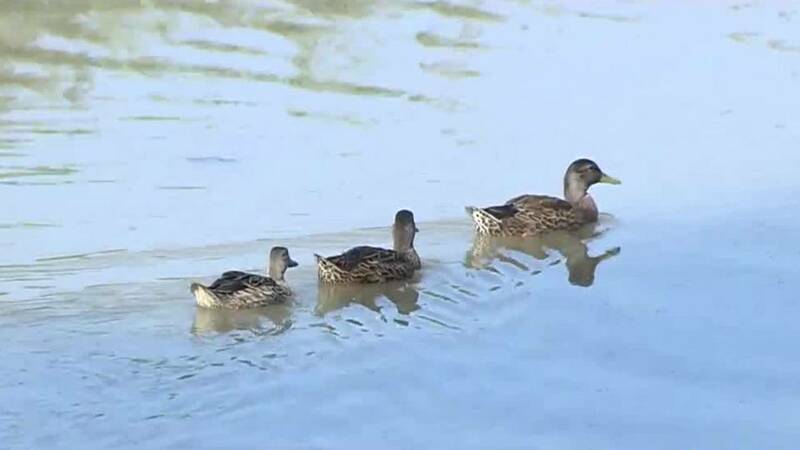 Michigan DNR: Spring season brings flowers, showers and ... duck nests? When cleaning out gardens, flower boxes or home or office landscaping this spring, don’t be surprised if you find something extra. Duck nests, particularly mallard nests, appear just about everywhere this time of year. While you may think these are not the most ideal nesting locations, there’s really no cause for concern. You can expect a female mallard to sit on a nest for about a month prior to her eggs hatching. Canada geese sometimes build nests near houses or in parks, often near water. Just like mallards, Canada geese will lead their young to water soon after they hatch. Schauer said that adult geese can be quite protective of their nests and their goslings. They may chase people or pets away by hissing and running or flying toward the perceived intruders. It’s best to avoid the nesting locations altogether. If that’s not possible, carry an umbrella and gently scare away an approaching bird. Birds and their nests and eggs are protected by law and must be left alone. Abandoned or injured wildlife can be possessed and cared for only by licensed wildlife rehabilitators. Unless a person is licensed, it is illegal to possess live wild animals – including birds – in Michigan. This spring, if you’re lucky enough to come across a nest, enjoy it from a distance and wait for your newest neighbors to make their entrance.